Grammy-nominated album artwork for Aimee Mann. Looking For Nothing (2009) and Freeway (2009). 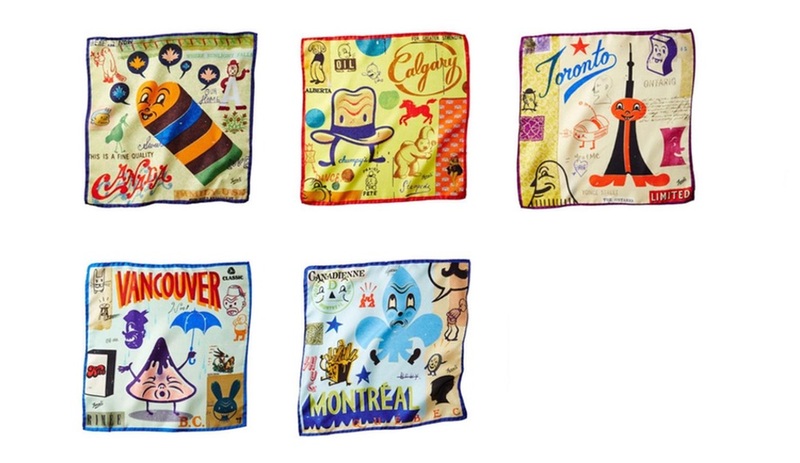 Italian silk pocket squares for Harry Rosen Menswear (2013) depicting Canada and Canadian cities. 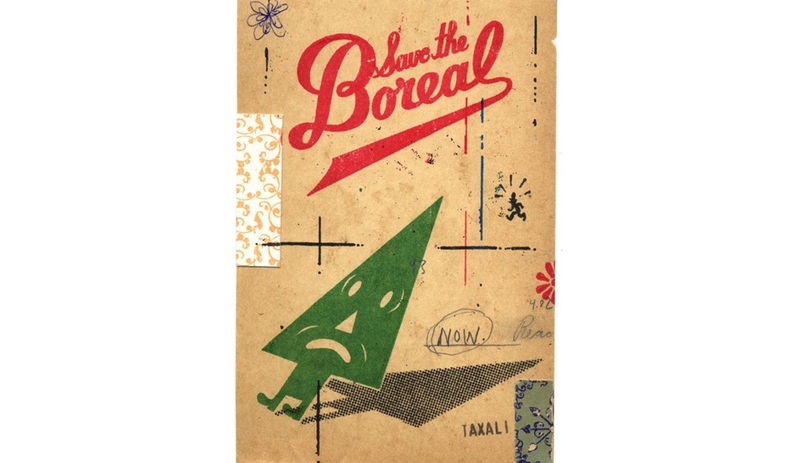 A limited edition silkscreen print for Greenpeace, Save the Boreal (2008). 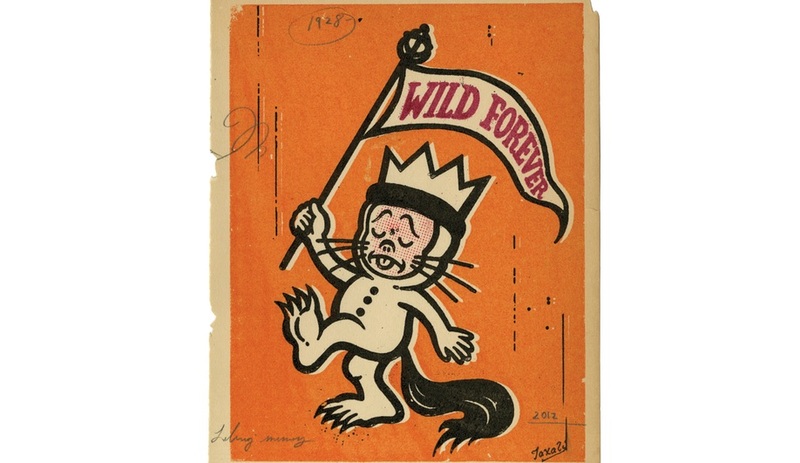 Wild Forever (2013) was commissioned by the New York Times to commemorate Maurice Sendak. 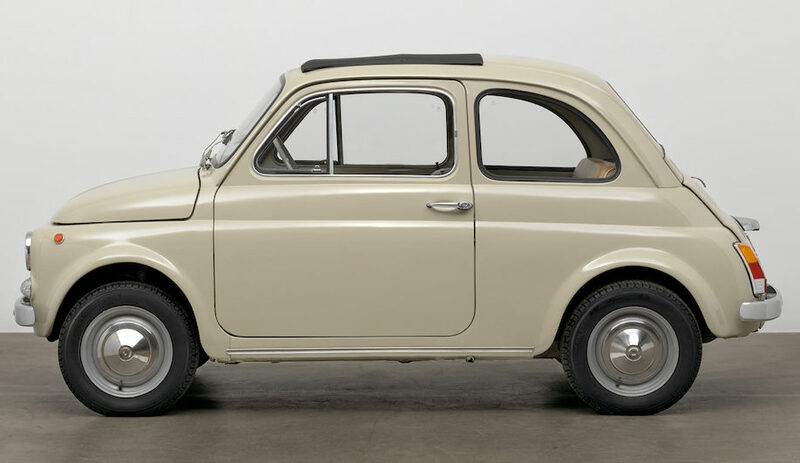 Design at Riverside, the Cambridge, Ontario, gallery, hosts the first large-scale exhibition in Canada dedicated to the Toronto artist – best known for his New Yorker illustrations, album covers and public projects. Comprehensive. That’s perhaps the best word to describe the exhibition of multi-media works by internationally renowned Toronto artist Gary Taxali on show at Design at Riverside — the only municipal gallery in Canada dedicated to presenting the best of both architecture and design. 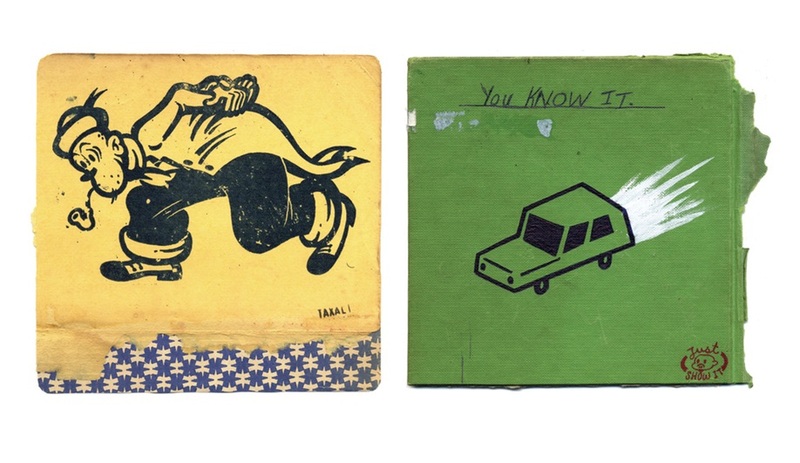 Here and Now: The Art of Gary Taxali displays everything from skateboards and chairs to notebook pages and men’s pocket squares, all depicting Taxali’s characteristic cartoonish illustrations and Depression-era typography. Approaching the gallery, one gets a sense of what’s inside. Dancing across the red brick façade are eight specially commissioned designs by Taxali on metre-tall blue-film decals (sponsored and installed by 3M) of his playful characters. 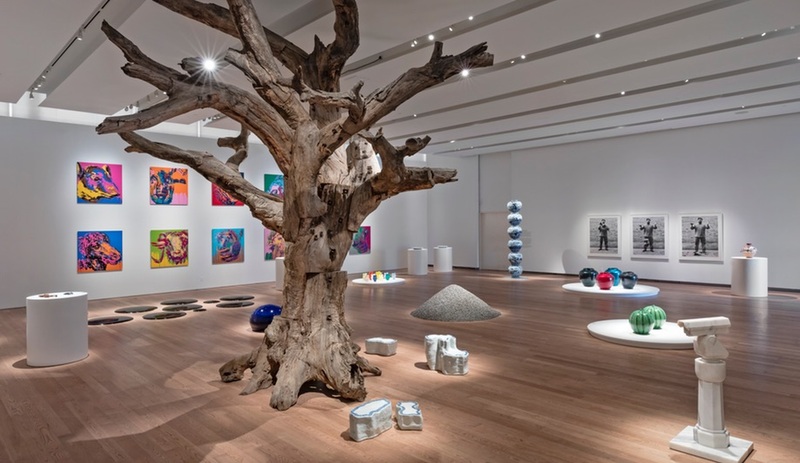 Inside, the presentation is set up salon-style with floor-to-ceiling installations that let visitors explore Taxali’s vast talent. A regular illustrator for the New Yorker, he blurs the lines between fine art, design, pop culture and commercial art. His work speaks to how the relationship between these different realms should neither be divisive nor exclusive. This genre-bending is evident throughout the exhibit: his Grammy-nominated album package for Aimee Mann and band posters for the likes of Pearl Jam and Primus are followed by a wall of some 300 diminutive notebook-sized drawings, a one-of-a-kind chair commissioned by Blu Dot and vinyl figurines of his OH NO character. 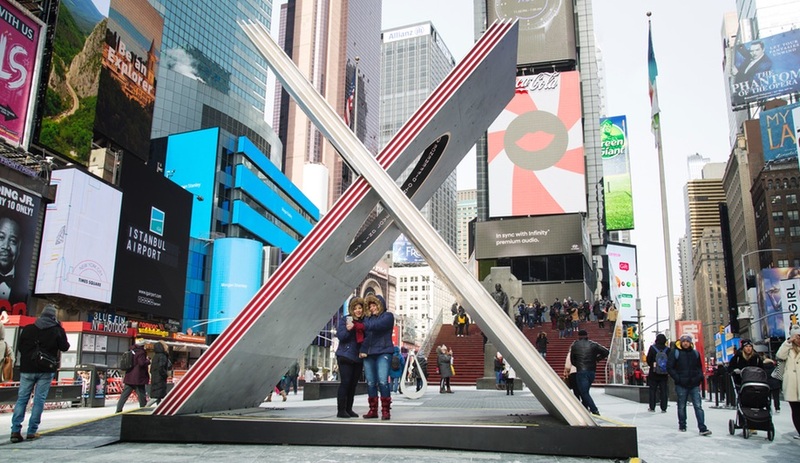 In 2012, he worked with the Canadian Mint to put his unique touch on a set of collector’s coins that celebrate special occasions, with titles like Birthday and Wedding; the larger-than-life renderings of these coins are also a part of the show. A must-see is the short documentary Gary Taxali: The Art of Whimsy, playing on a continuous loop in a quiet corner of the gallery. The film offers a peek at his creative process, from how the music he plays while he draws – often “music from the past” – feeds into his illustrations to how his childhood “love of doodling” continues to inform his work today. He shares how his excitement grows with each creative challenge, including developing a collection of men’s pocket squares for Harry Rosen. 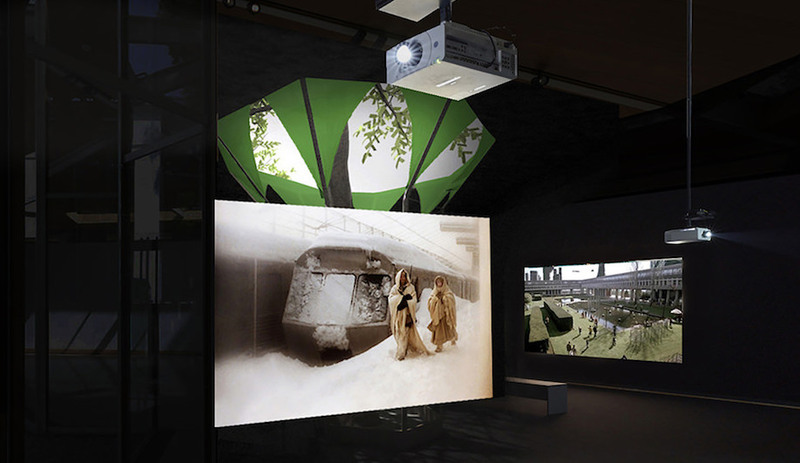 Showgoers can hear more from Taxali directly; on closing night – September 21 – Taxali will speak at the Lecture Theatre at the nearby Universty of Waterloo School of Architecture at 7:30 pm.